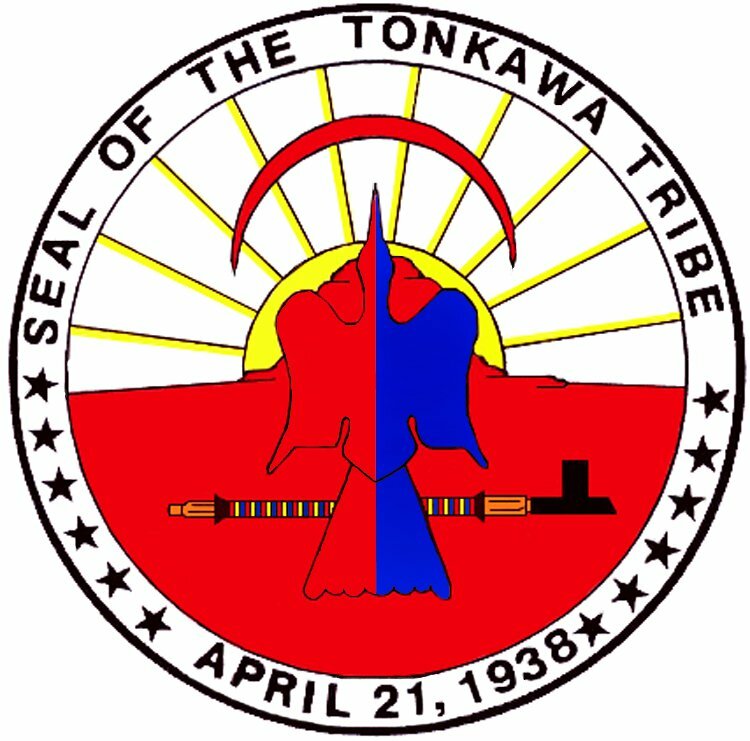 The Tonkawa belong to the Tonkawan linguistic family that once comprised a number of small tribes indigenous to south-central Texas. They were one of the most warlike tribes during nearly two centuries of conflict with their enemy tribes on the Western plains and with the Spanish and later, American settlers in the Southwest. The Tonkawa people had a distinct language, unique to them and were nomadic in their early historic period, moving their teepee villages according to the wishes of the chiefs of the different bands. They planted a few crops, but were well-known as great hunters of buffalo and deer, using bows and arrows and spears for weapons, as well as some firearms secured from early Spanish traders. They became skilled riders and owned many good horses in the 18th century. From about 1800 the Tonkawa were allied with the Lipan Apache and were friendly to the Texans and other southern divisions. By 1837 they had for the most part drifted toward the southwestern frontier of Texas and were among the tribes identified in Mexican territory. Due to their loyalty to the Confederacy during the Civil War, the tribe was nearly exterminated by pro-Union Indians in the Tonkawa Massacre of October 1862. The Tonkawa were removed from the Brazos River Reservation in Texas in 1884 and transported by rail beginning in Cisco, Texas, to a temporary stop at the Sac-Fox Agency until spring and then traveled the last 100 miles by wagon fording many rivers swollen with rain and slogging through axle-deep mud caused by severe spring rains. They reached the Ponca Agency on June 29 and finally reached the Fort Oakland Reserve near what is now the city of Tonkawa, on June 30, 1885. The journey is known as the Tonkawa "Trail of Tears," a time the tribe commemorates with their annual powwow which takes place the last weekend in June. Today the Tonkawa celebrate and preserve their distinctive heritage with ceremonies, dances and music and the Tonkawa Tribal Museum displays artifacts and photographic histories.